Do you find it difficult to maintain your faith and belief in God? Are you struggling with maintaining a close relationship with God? Is it a challenge to keep and maintain your Christian faith? If you answered yes to any of these questions, then maybe it is about time to take a break from your usual routine and incorporate a new habit. Don’t get stuck in a rut! Learn to master the right way to live your life to the fullest. As a teenager, you need to focus on your Christian faith more than ever. An excellent way to do this is to make God a big part of your life by reading your Bible and a devotional specifically written for you. 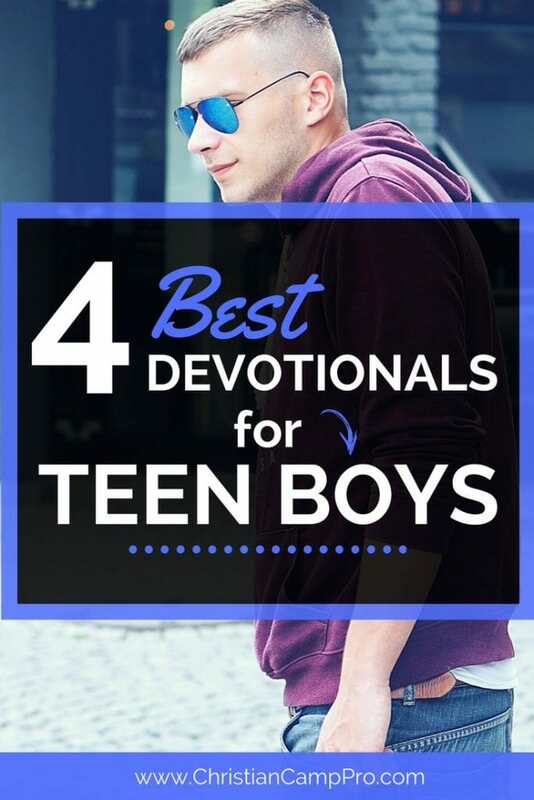 Here is a list of best devotionals for teen boys that we know you will like! Learning is a continuous process. There are many ways to learn such as listening to parents, watching how-to videos or studying insights from those who have gone through your situation. In the “Teen To Teen” devotional, you can gain the right Christian perspective to improve your life for the better. There are 365 daily devotions in this book – all were written by teen guys to teen guys. View current pricing on Amazon. Get the daily guidance you need with this devotional. Each devotion will make you feel reassurance from God. It highlights the need to maintain an intimate relationship with the Lord. At the same time, it also deals with the daily battles that teen guys face regularly. It is full of wisdom for inspiration and knowledge for motivation. This is one of the best devotionals for teen boys seeking daily Christian wisdom that is practical and sharable. View current pricing on Amazon. Are you confused about the different aspects of your life? Too much confusion can drive you away from making Godly decisions and keeping Him as the center of your being. To prevent this from happening, be sure to grab a copy of “The Guy’s Guide To God, Girls And The Phone In Your Pocket” devotional. The contents will help you navigate through all the ups and downs that will come your way. Moreover, it will provide you with the confidence and wisdom needed to go on with life. This is one of the best devotionals for teen boys who are seeking a book that is up-to-date with today’s modern times. View current pricing on Amazon. Get the encouragement and inspiration you need in less than three minutes with this devotional. The book is jammed packed with excellent readings that will motivate you to meditate, reflect and pray. Take note that having a conversation with God is essential to keep your soul at peace. The more you connect with God, the better prepared you will be when temptation comes your way. In just three minutes, you will start down a reading path that will develop into a lifelong commitment to Jesus. View current pricing on Amazon.